We Develop Apps That Really Works! If you are looking for one of the top mobile app development company in Wellington, then Hyperlink InfoSystem is your best choice. With more than 11 years of experience, Hyperlink InfoSystem has developed more than 1000 mobile apps for over 500 clients spread across the globe. The developers and designers at Hyperlink InfoSystem are experts at developing mobile apps that work on different platforms and for unique niches. When you decide to partner with us, be rest assured you have access to the most efficient, most experienced and tech-savvy developers in the sphere. We provide our clients with unique services at affordable prices. 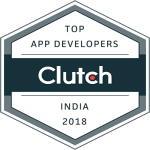 We have a team of more than 100 developers and designers who are battle ready to face any mobile app challenge or stringent deadline that your project may require. We offer our clients 24/7 direct communication and support, so they can reach us at any time with their issues. At Hyperlink InfoSystem, we know that time is money, hence our developers work very hard to deliver products to our clients at good timing. Hiring Hyperlink InfoSystem is hiring experience and expertise. For more than 11 years, we have delivered mobile apps to clients. We have gathered more than enough experience and expertise to combat any challenge that your app project may present. At Hyperlink InfoSystem we respect the privacy of our clients, hence we begin our development process after signing a Non-Disclosure Agreement. At Hyperlink InfoSystem, we believe in building long-term relationships with our clients. Therefore, even after we deliver the client's app, we regularly check in on their performance, to be certain they don't run into any issues. Do you wish to take your business to the next level? Do you want to work with the top mobile app development company in Wellington? Then, drop your inquiry and we will get back to you as soon as possible with a quote.